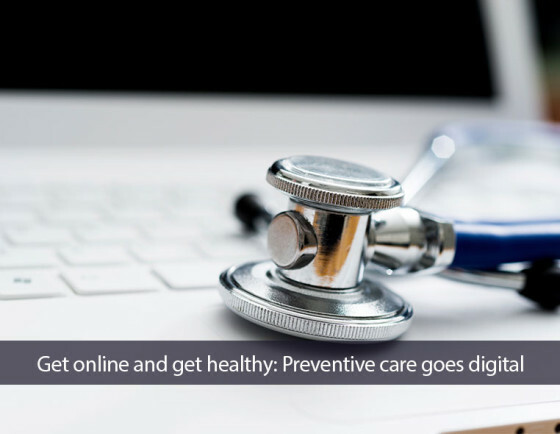 A new study finds that health plan members who accessed their health information online were more likely to utilize preventive care measures. A study published in the American Journal of Preventive Medicine found that health plan members who access their health information online and receive timely alerts about coverage gaps were more likely to utilize preventive care measures, like clinical tests and screening than those who did not. In the study, researchers analyzed the health records of more than 800,000 health plan members in South Carolina. Approximately 40% of those members used a secure, web-based system that gave them access to personalized health information and email alerts if they needed preventive care. For example, the service would flag the date of a patient’s last colorectal cancer screening and the date of their next recommended screening. The system also provided information about specific health conditions such as links to smoking-cessation programs for smokers and weight management materials for members with elevated BMI. Researchers found that members who had online access to their health information were more likely to participate in certain preventive measures. For example, patients who used the online tool were 9% more likely to receive a mammogram and be screened for colorectal cancer than non-registered members. Also, patients were 6% more likely to receive a Pap smear and 12% more likely to schedule complete routine HbA1c testing for diabetes. The study reaffirms the importance of ensuring patients receive the necessary tests and screenings, though it can often be challenging. But by communicating with patients about their medical needs, health care providers can engage with patients and close gaps in care. The success of patient-enabled care tools shows the promise that patient-enabled care holds for employers, health systems and patients themselves. Click here to view programs, protocols, products and services that can improve the health of individual patients and whole populations.